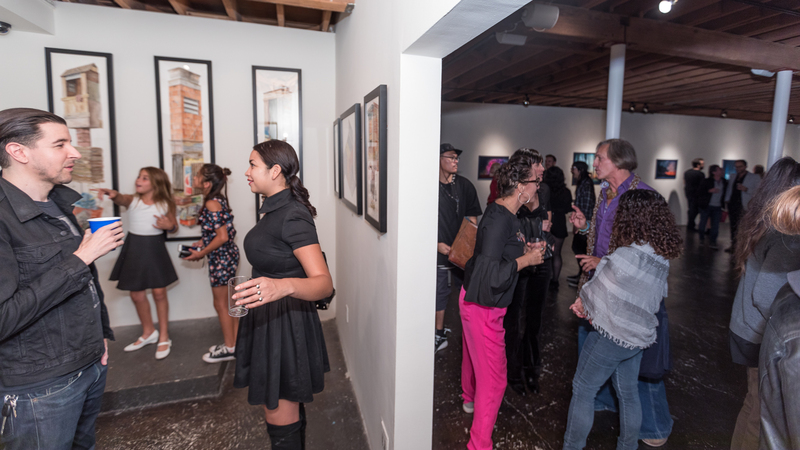 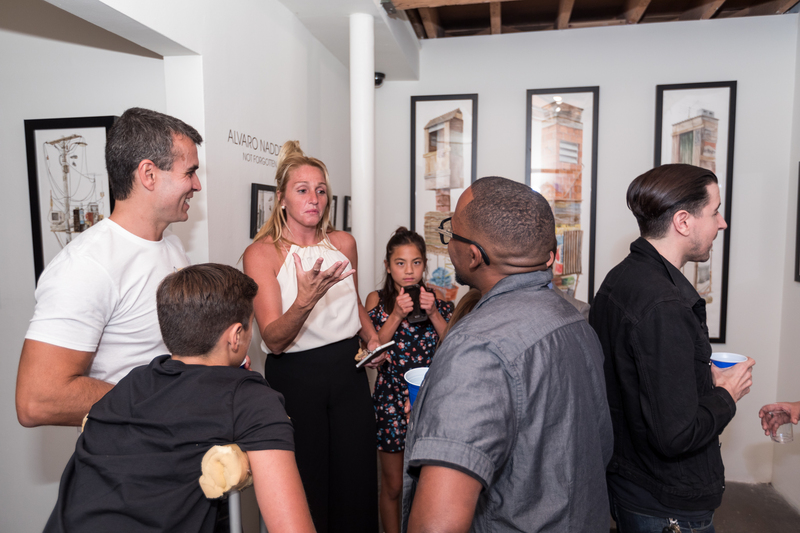 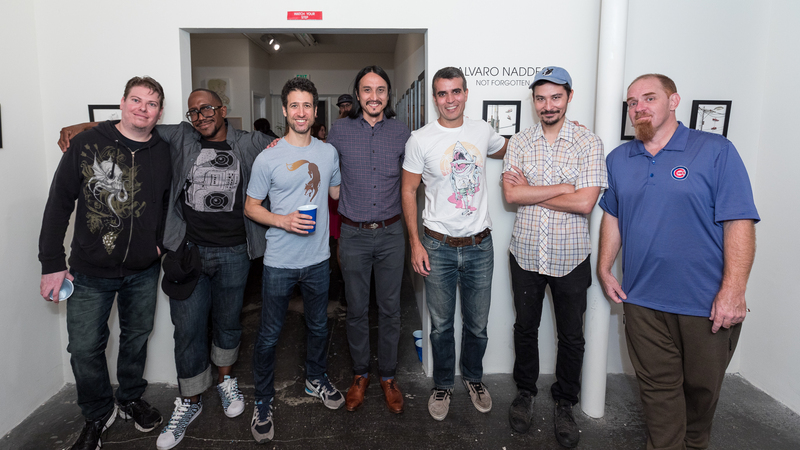 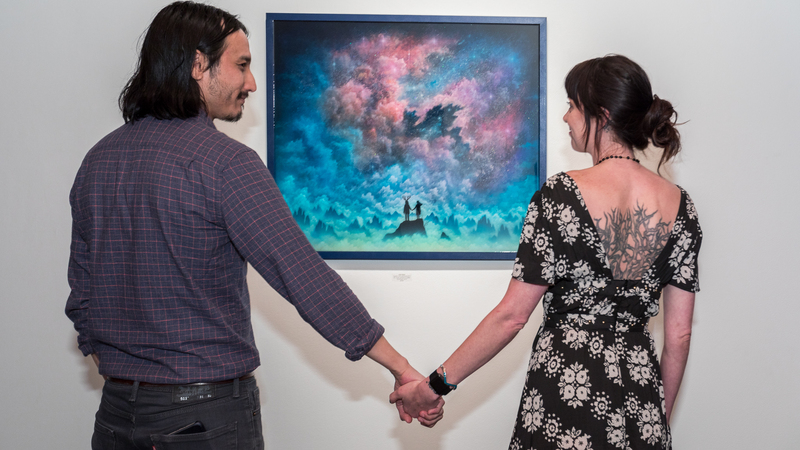 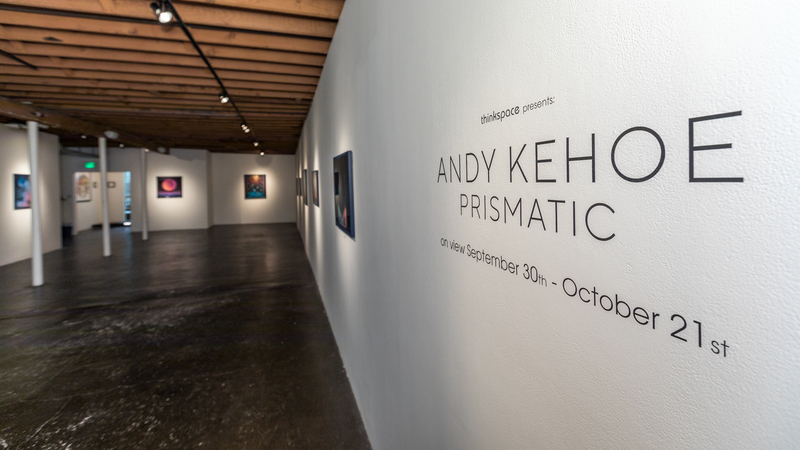 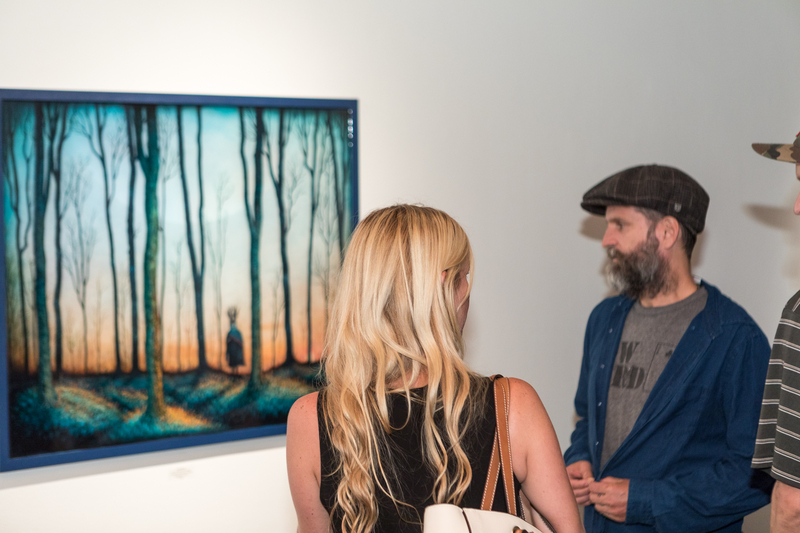 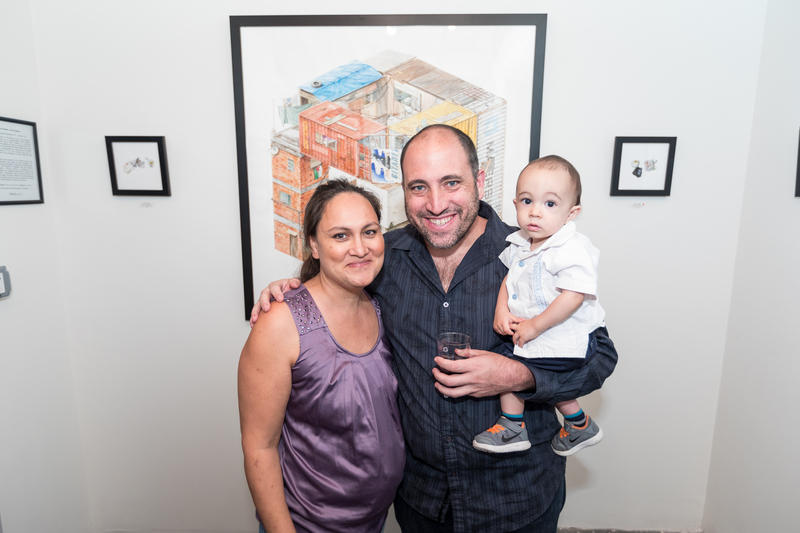 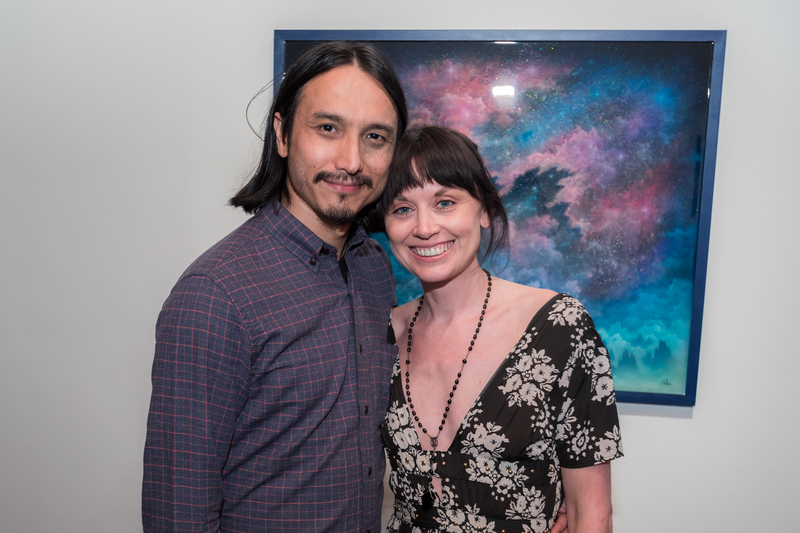 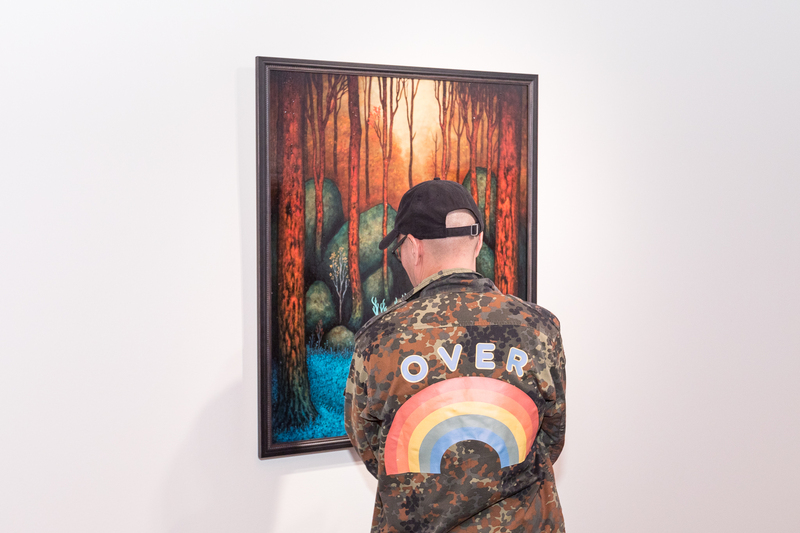 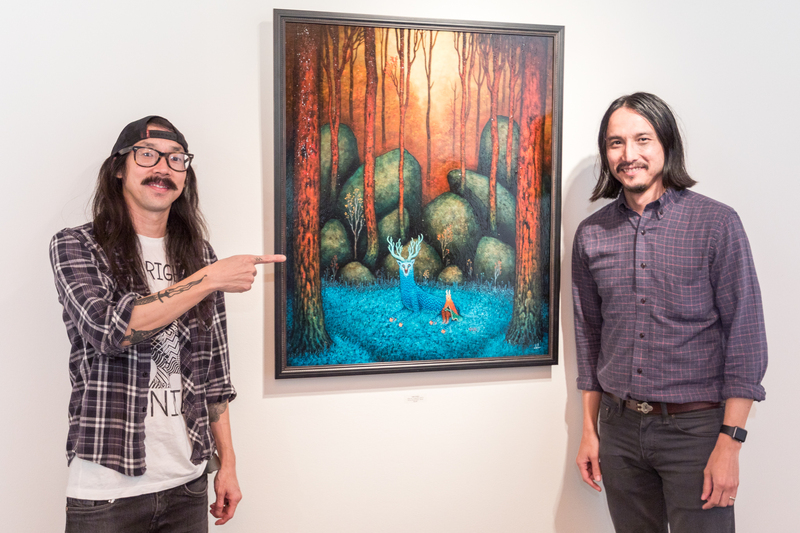 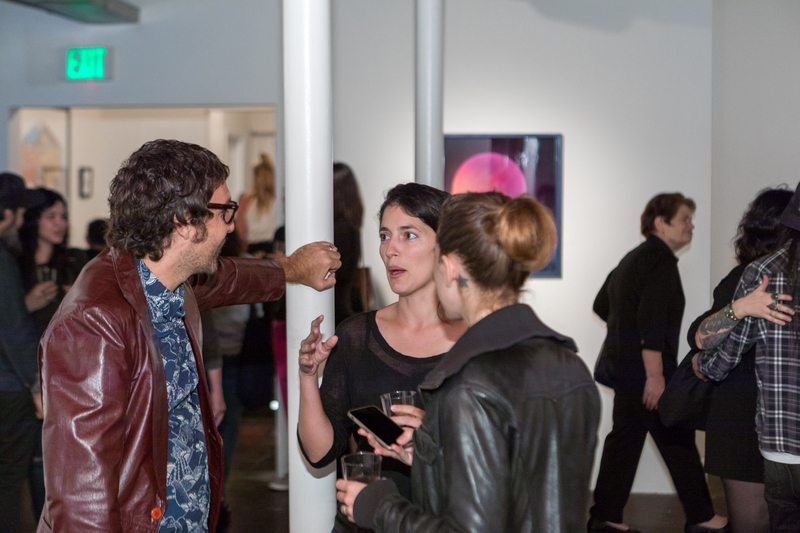 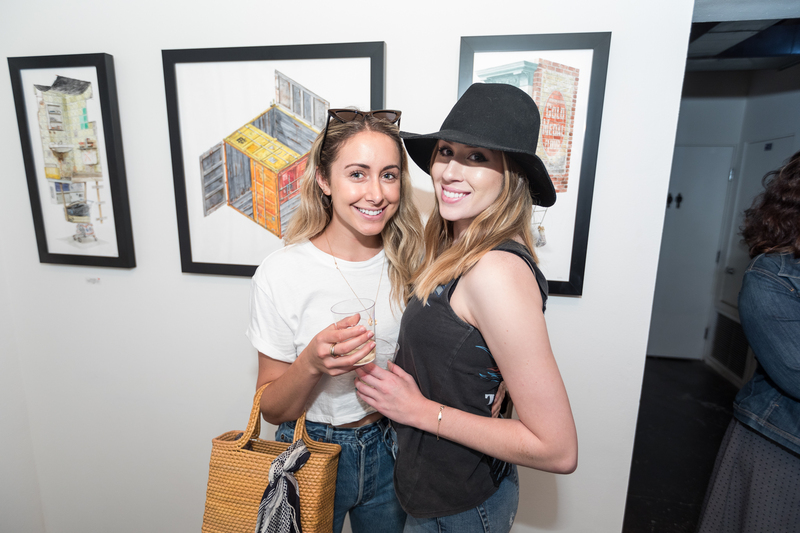 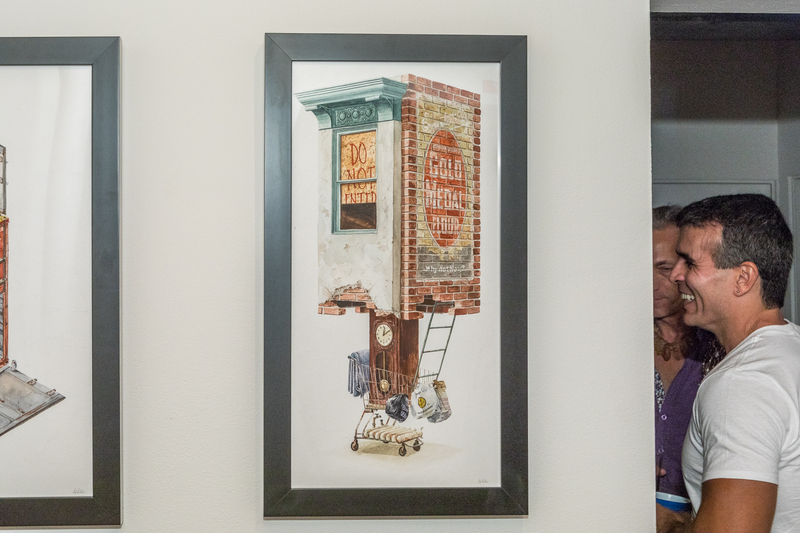 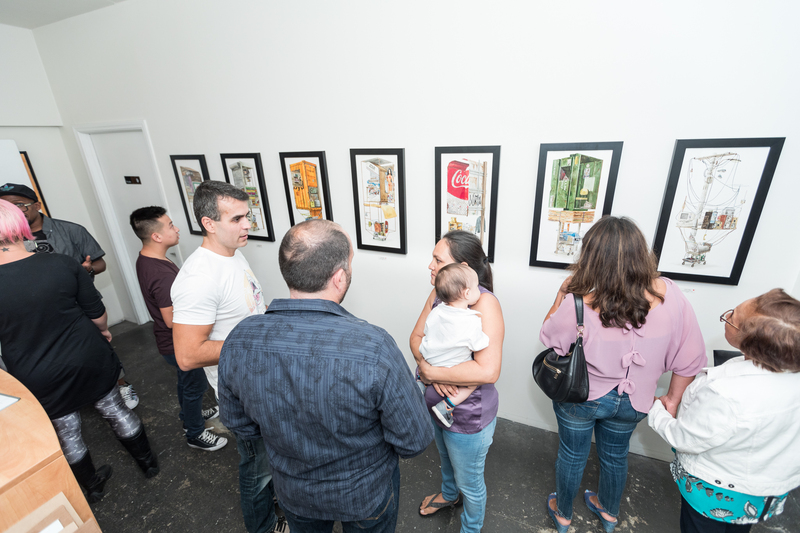 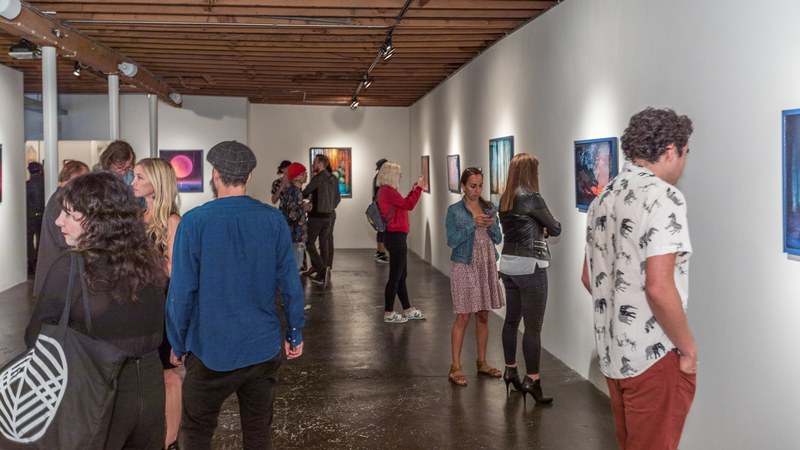 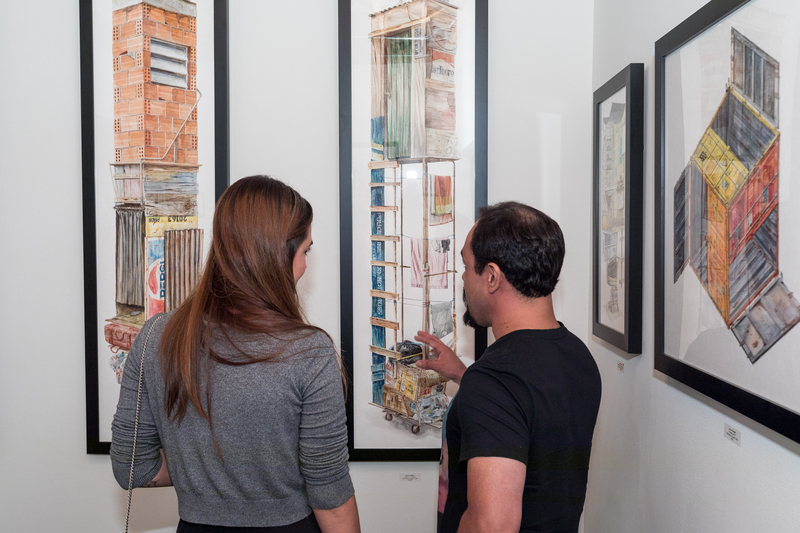 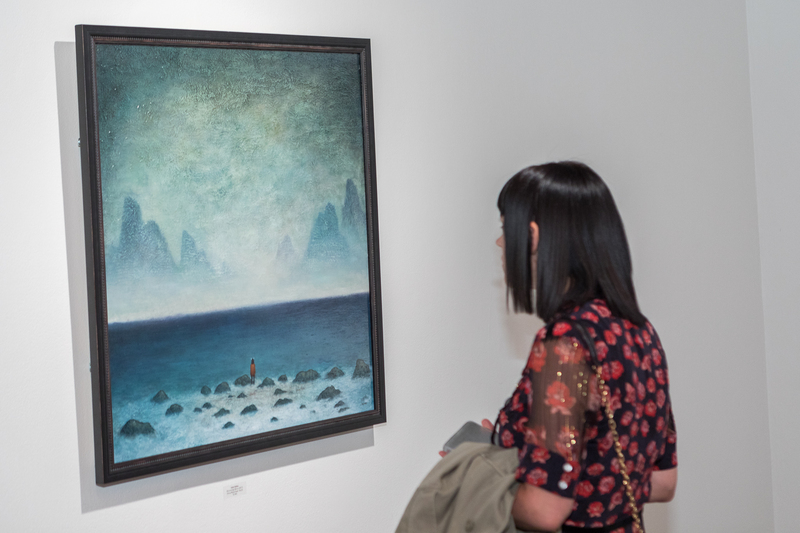 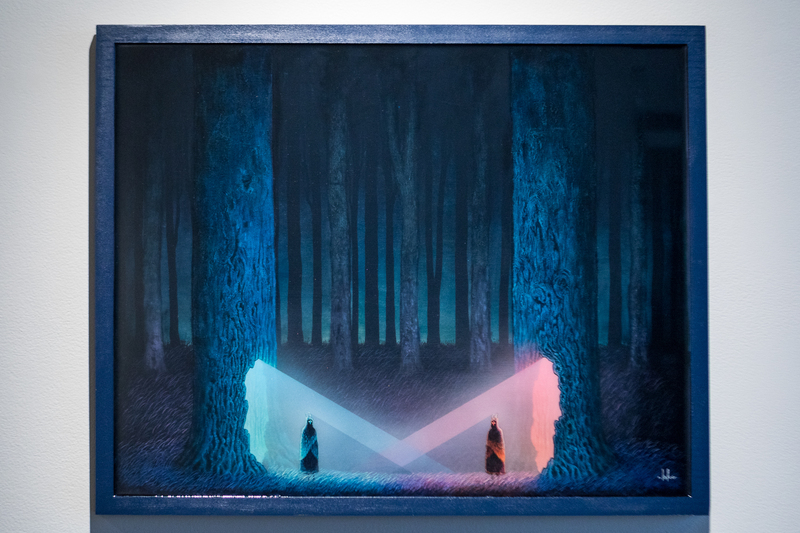 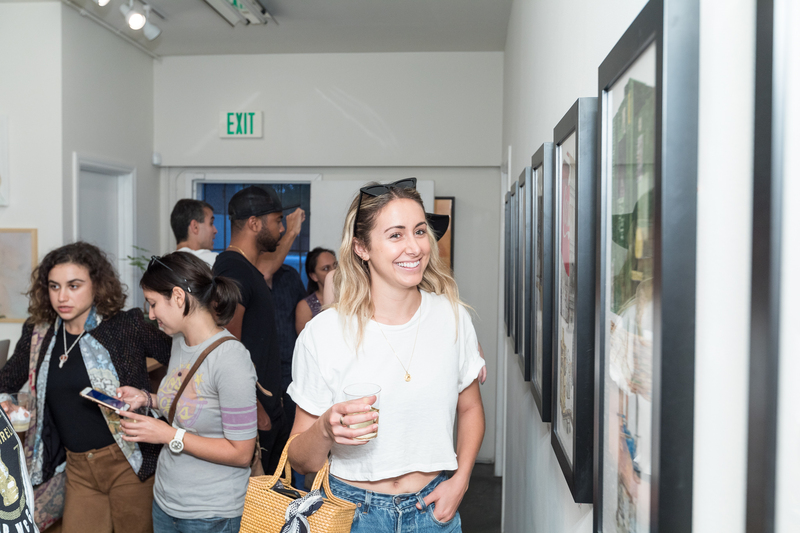 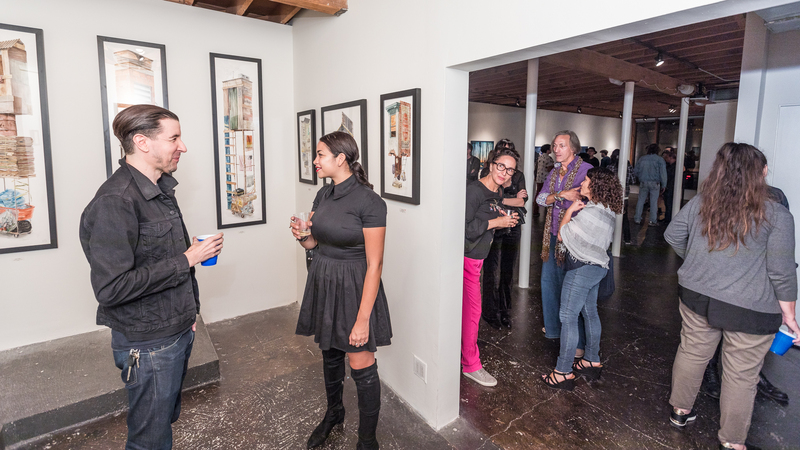 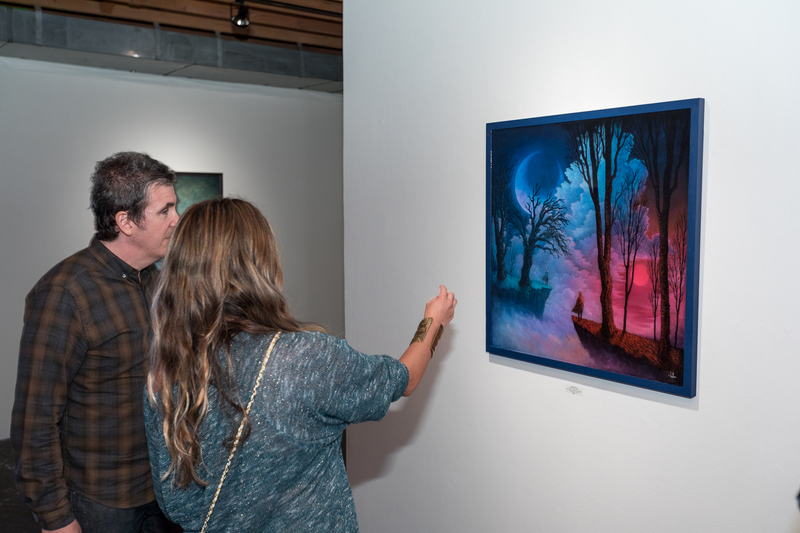 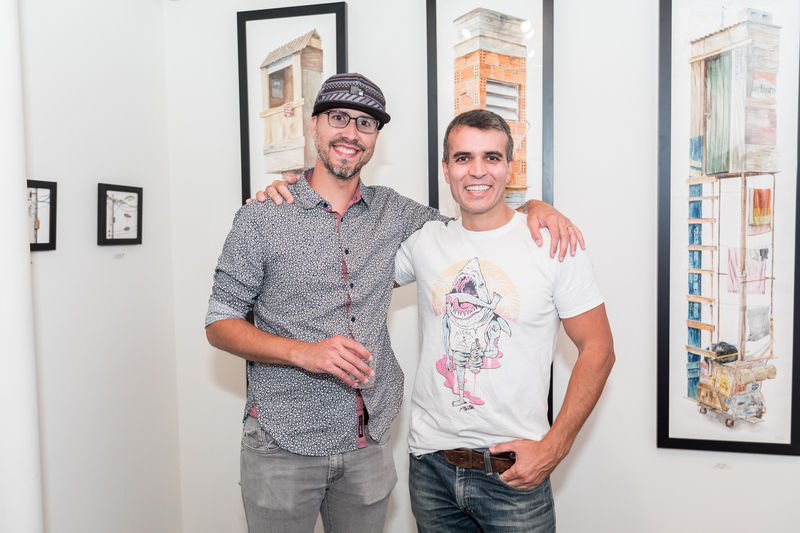 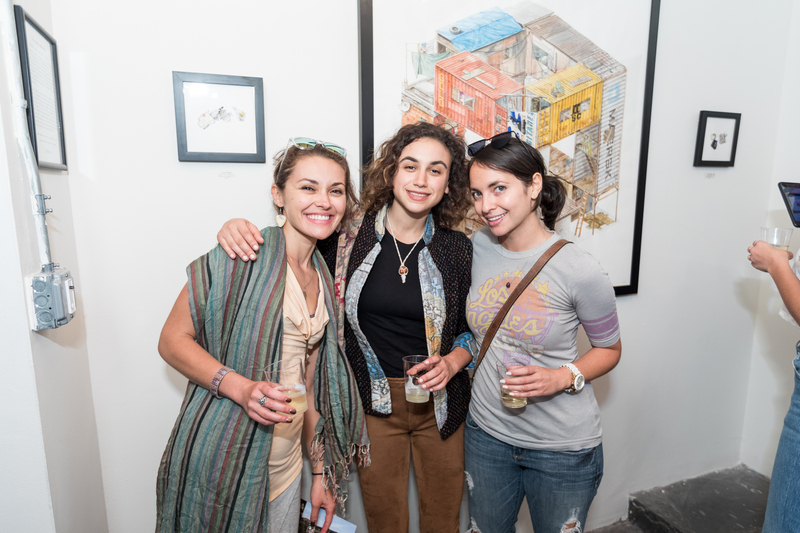 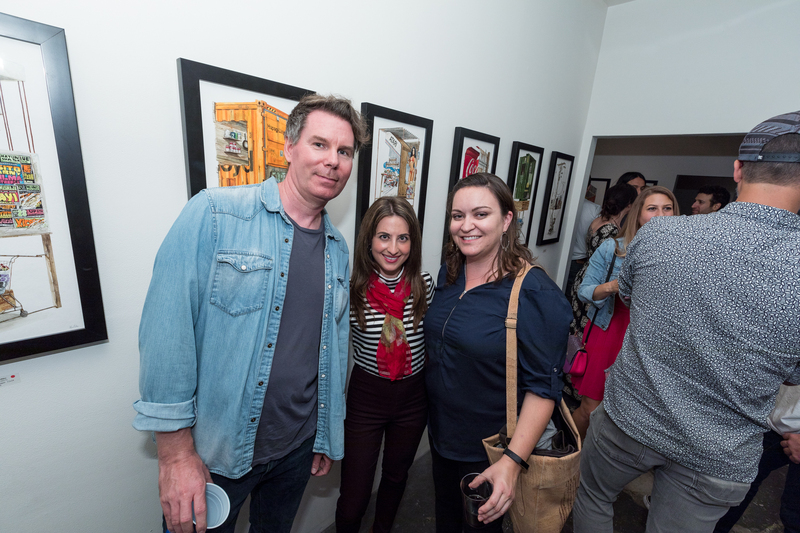 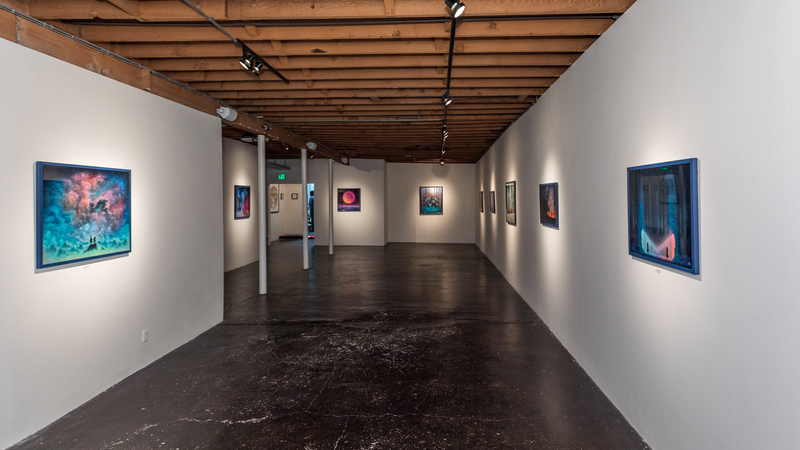 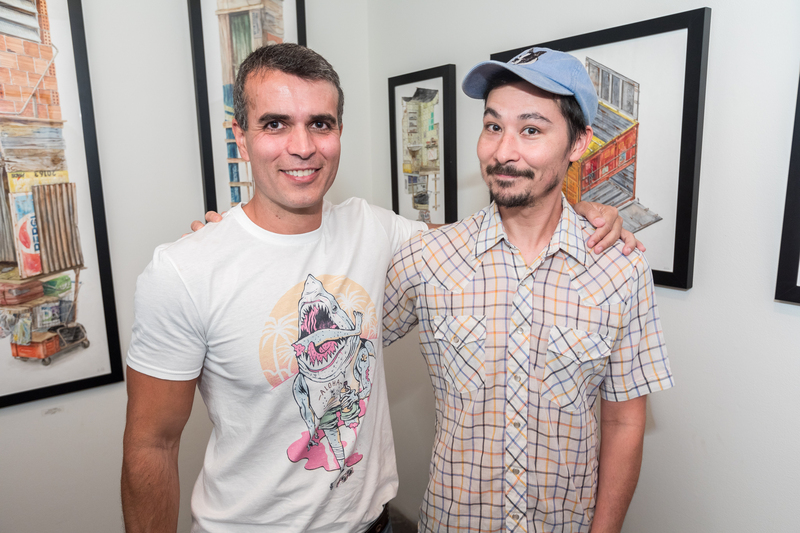 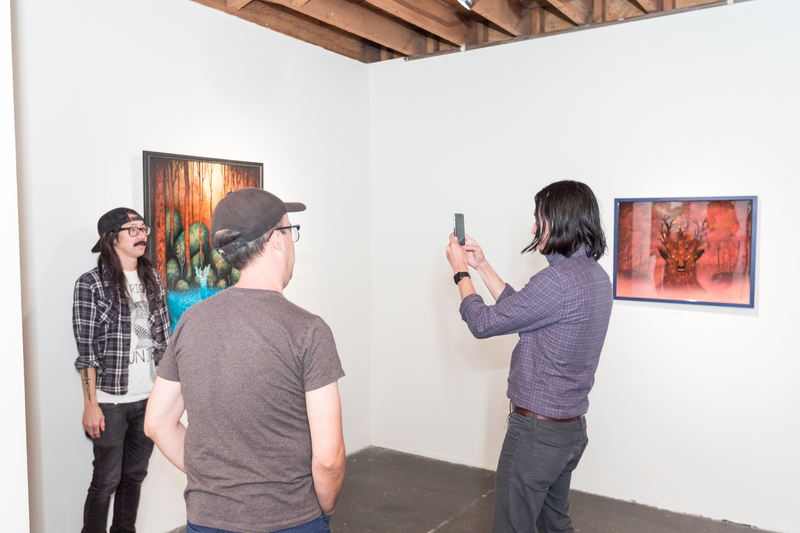 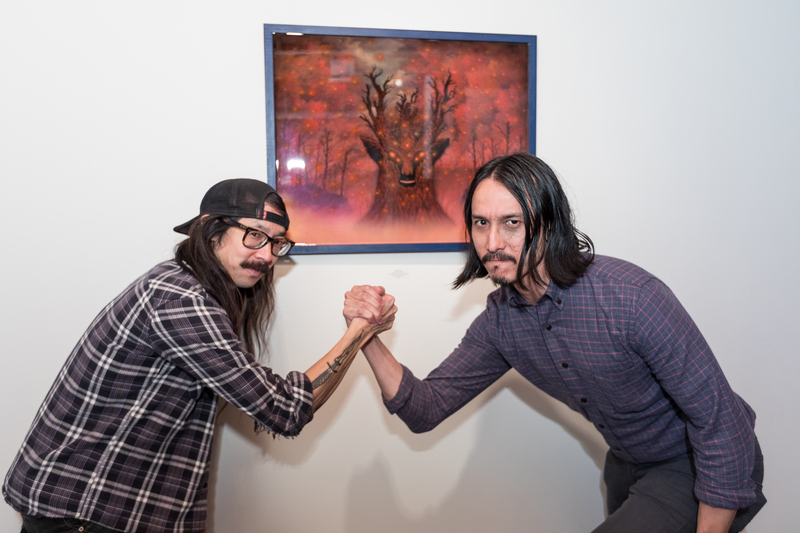 The opening of Andy Kehoe’s “PRISMATIC” and Alavaro Naddeo’s “Not Forgotten” filled the gallery with artists friends and art enthusiasts to view both beautiful collections of work. 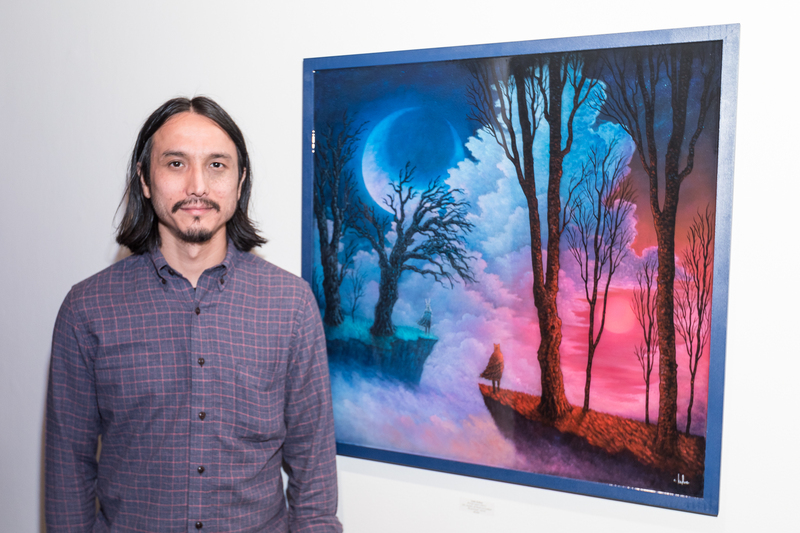 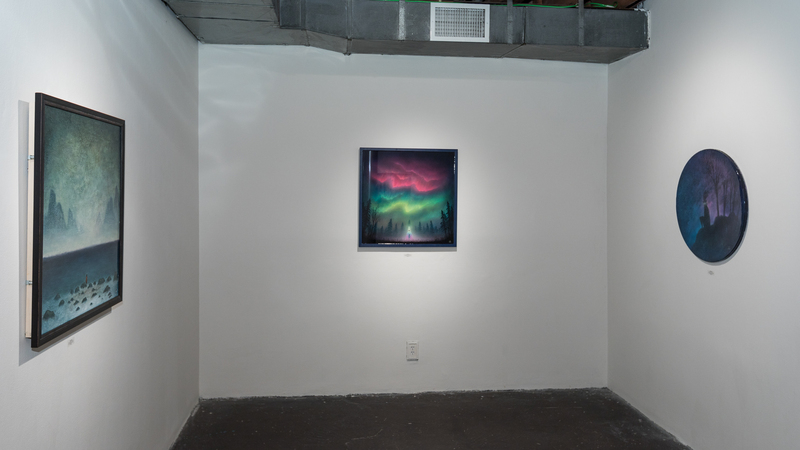 Kehoe’s magical dreamscape world is multilayered with texture and glittering landscapes that can be truly appreciated in person. 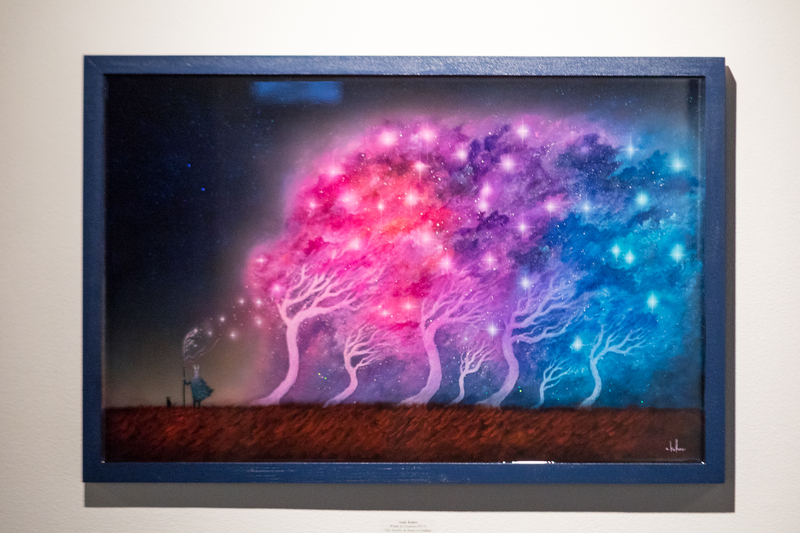 The imagination runs wild amongst the trees and seaside coasts that Kehoe creates. 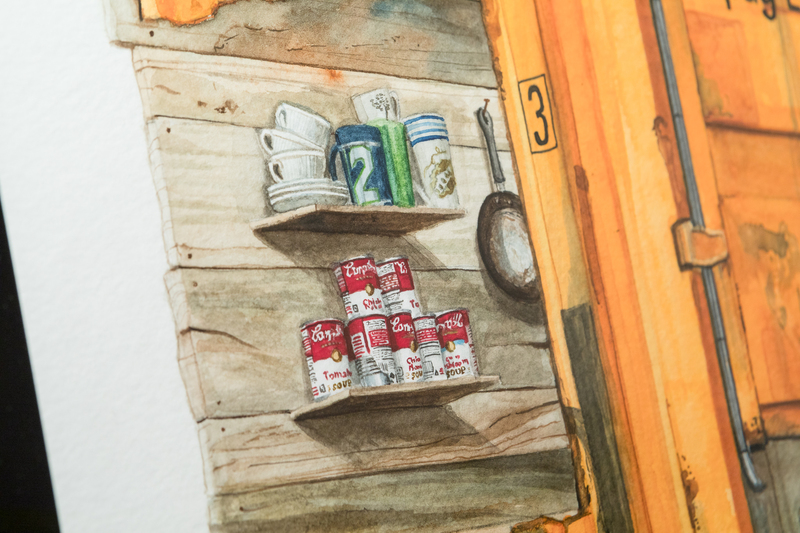 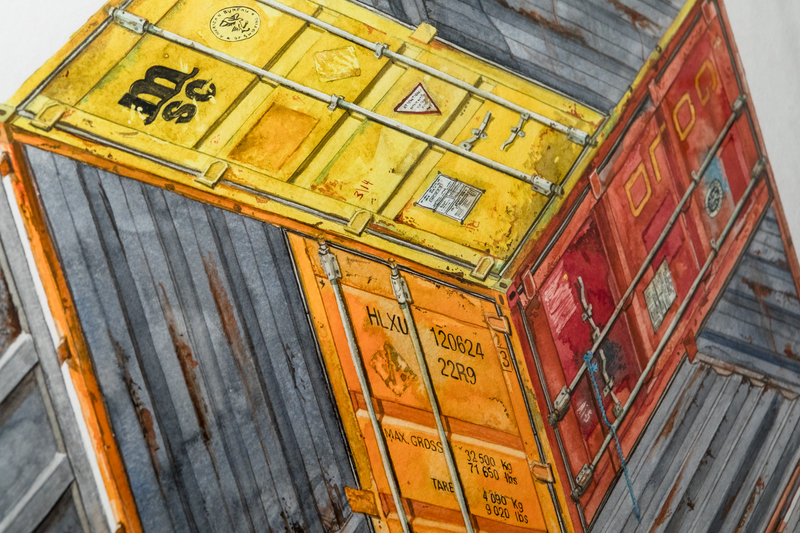 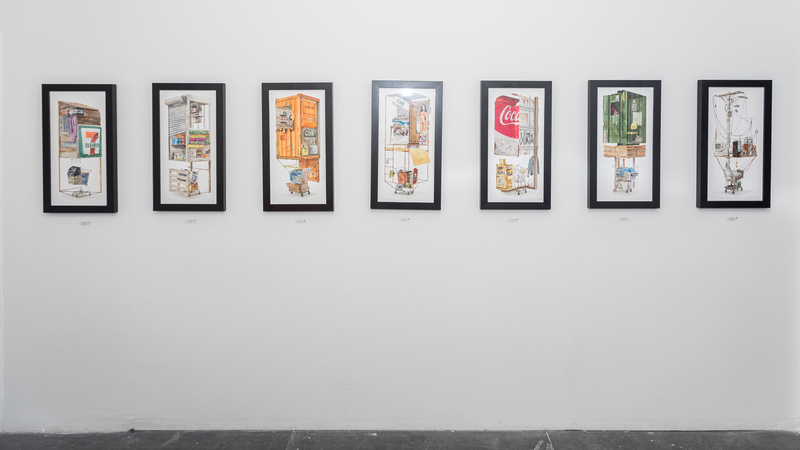 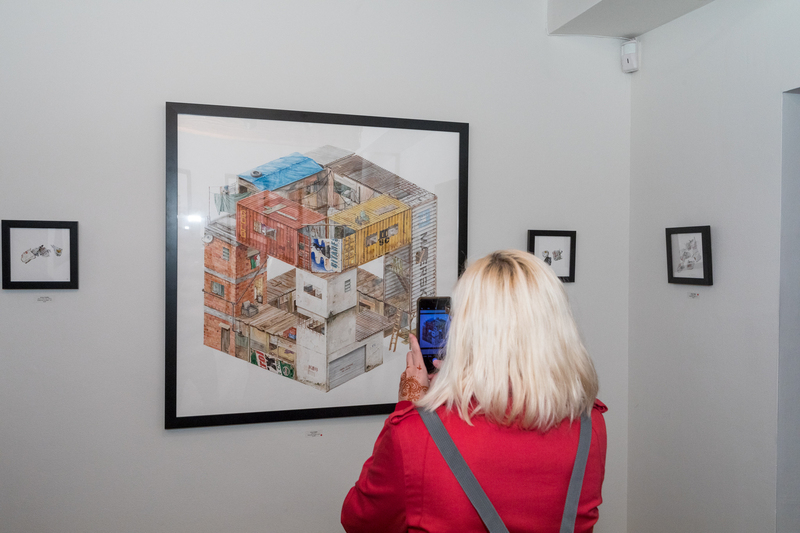 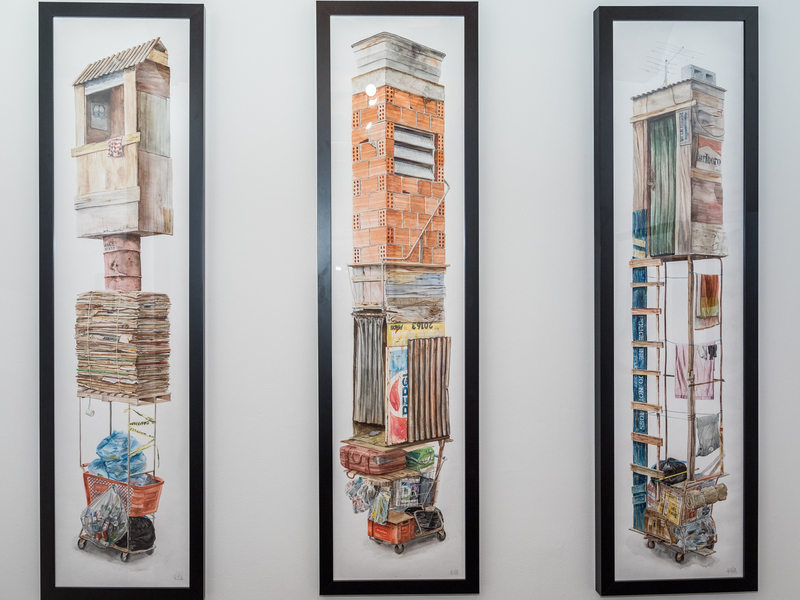 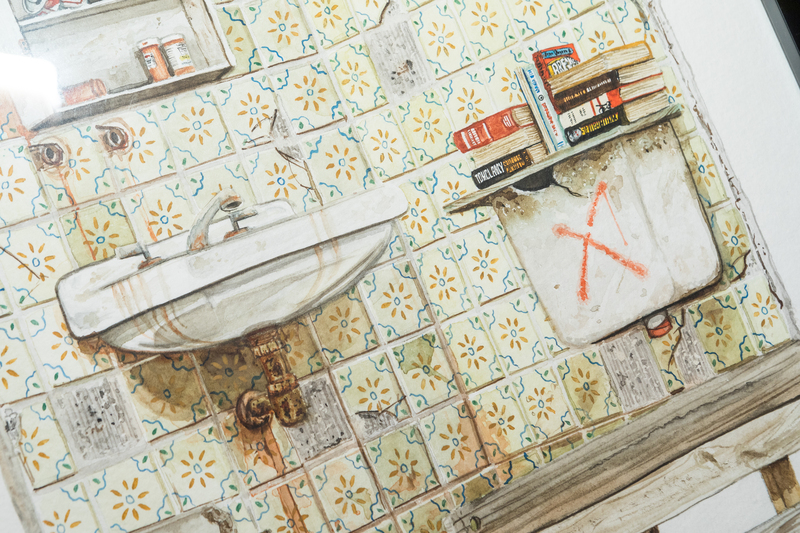 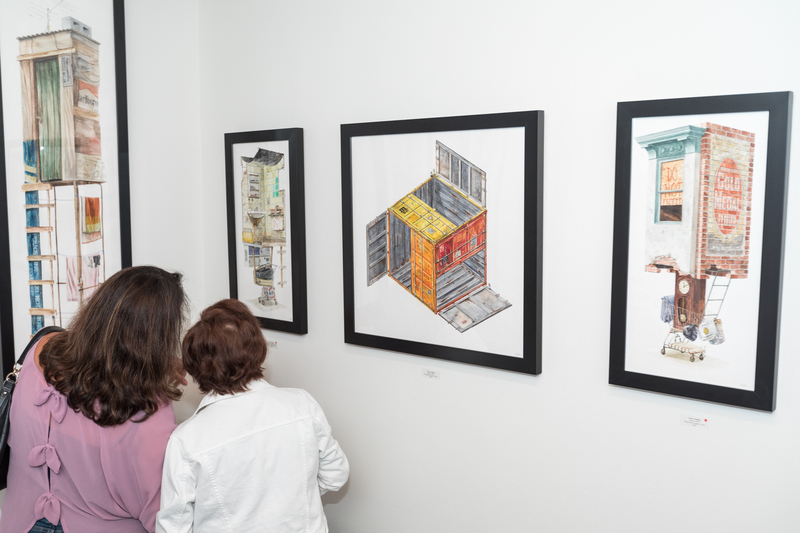 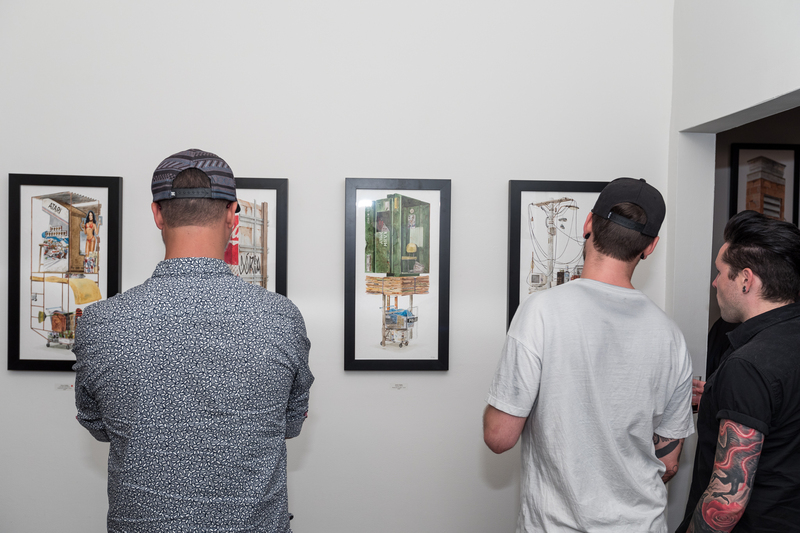 In the project room, Naddeo’s work continues to explore the items and values that shape one’s identity in urban environments, informed by a nomadic life. 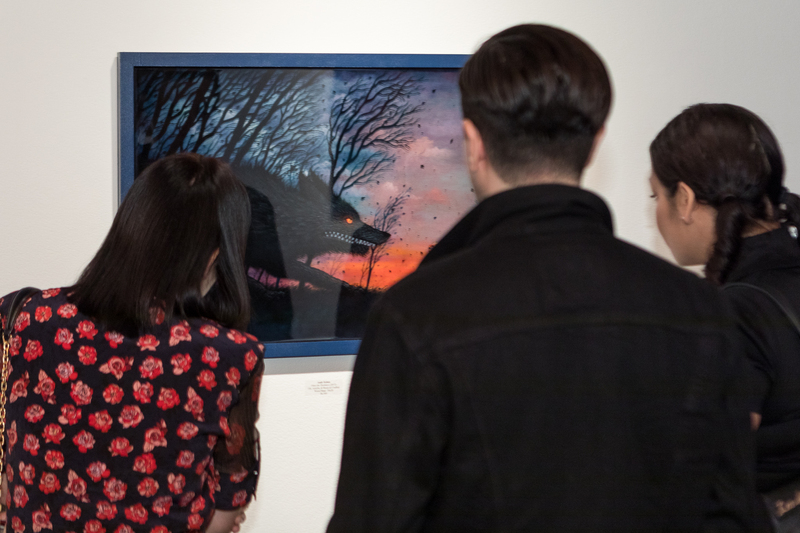 The view all available works from Andy Kehoe and Alvaro Naddeo please visit the Thinkspace Gallery website. 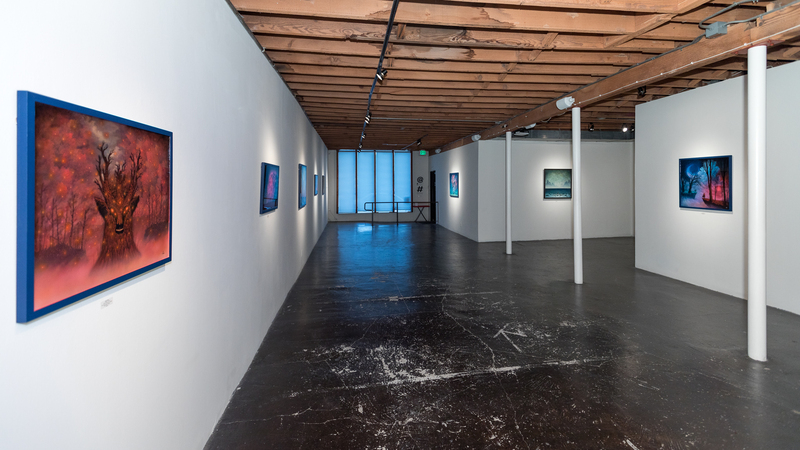 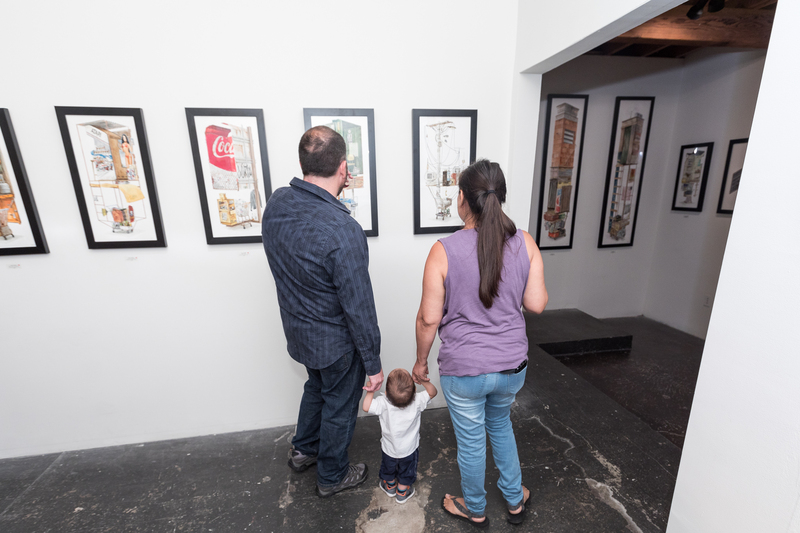 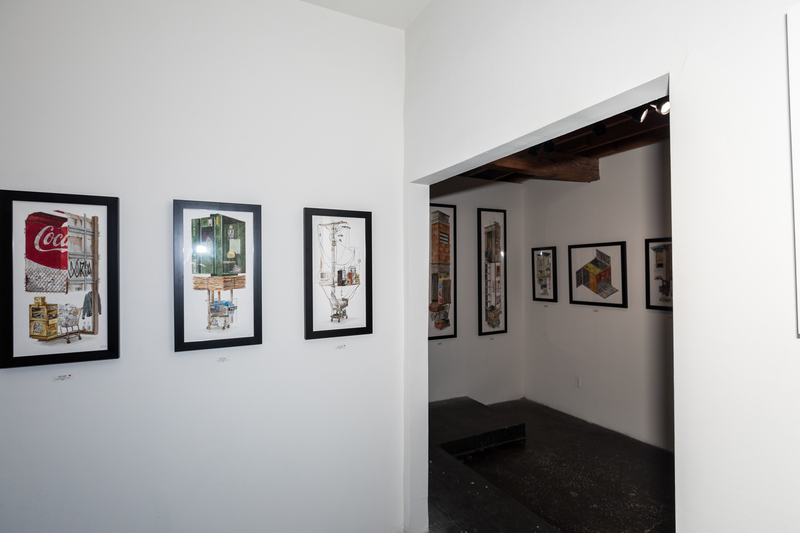 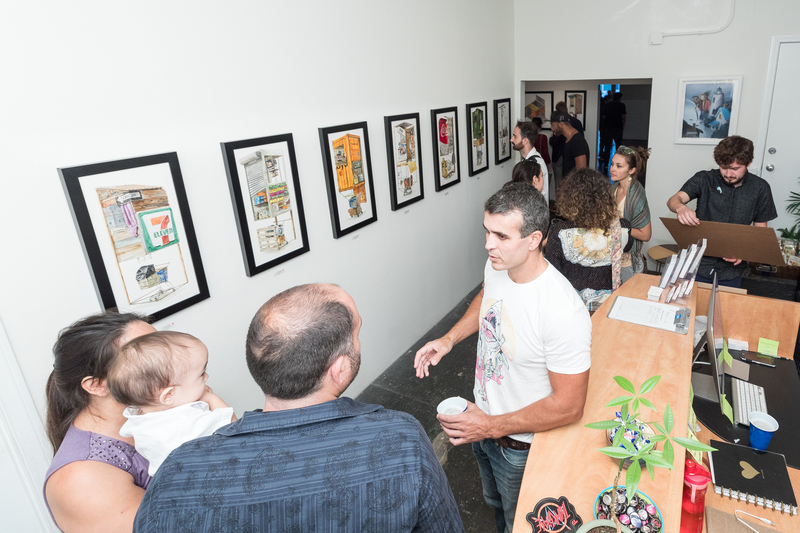 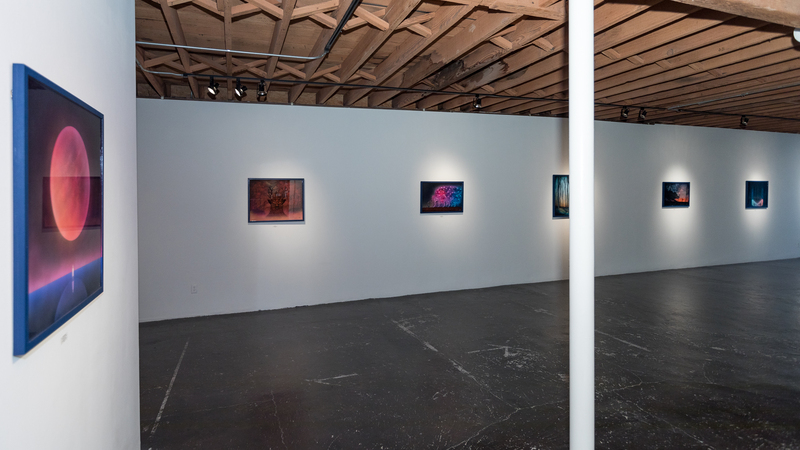 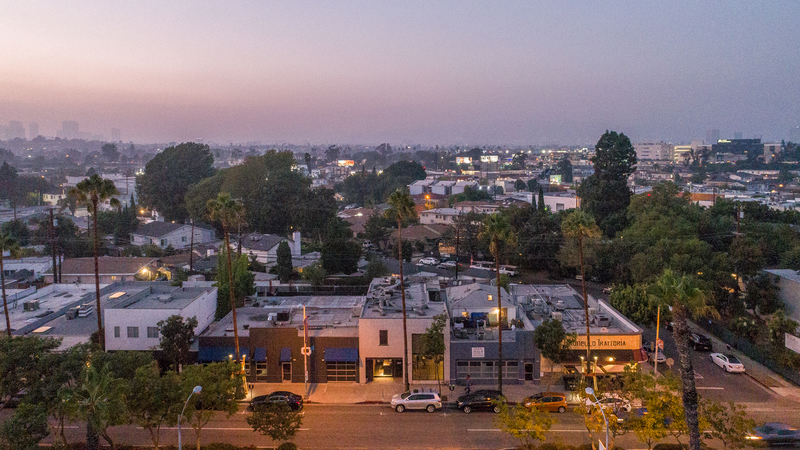 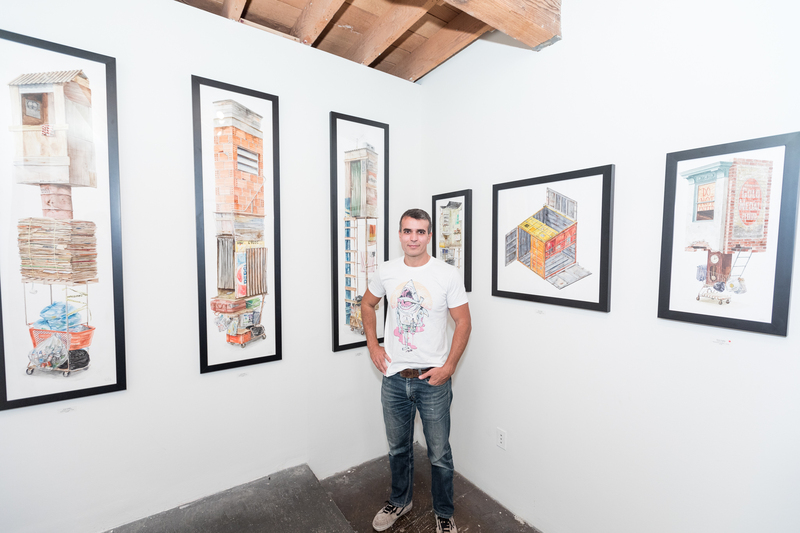 Please note Thinkspace Gallery will be closed, Saturday, October 14th.